Multiple airlines are running a sale in the name of Valentine's day. Srilankan is offering up to 50% off on business class ticket for partner. Indigo is running a Rs 889 onwards sale- which you can check if it excites you. Tried a few destinations of my interest, didn't find the fares low enough to be tempting. 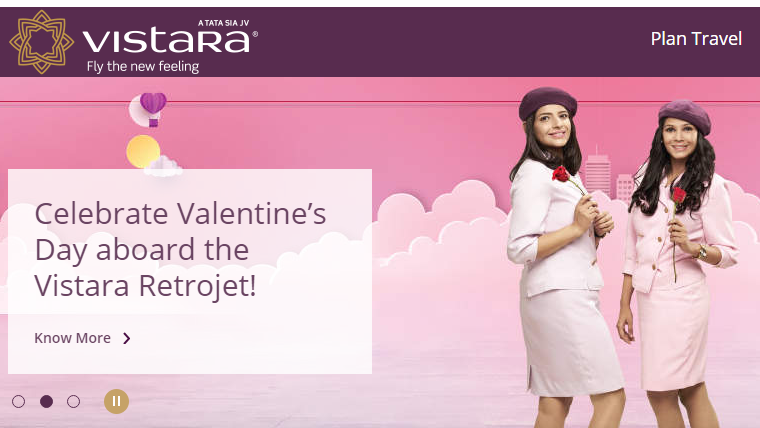 However Vistara's sale seem to be good. Other destinations are also reasonably priced- even lower than Indigo in most cases for Economy lite category. Or as seen earlier, at times even premium economy value rates are very tempting. So go check on Vistara's website- low fare rates are valid for today and tomorrow. OmanAir refusing refund on Delhi-Iran low fare! Downgraded from AirAsia Platinum to Gold!